Ian Potts (17 April 1936– 31 May 2014) was born in the mining community of Birtley, in the North East of England. Following a period of study at Sunderland College of Art, he was accepted as a student at the Royal Academy in 1956. In 1958 he was awarded the Silver Medal for portraiture, which led to his appointment to a position at the University of Brighton and subsequently to his role there as Head of Painting. In 1959 Ian married Helen Barr Bewick and they made their home, and Ian’s studio, in Lewes, East Sussex. They have three children Nigel, Clare and Anna. Ian also worked at their second home in Marais Poitevin, France. Ian’s work has been added to several public collections; including The V & A Museum, Arts Council, Towner Art Gallery Eastbourne, Hove Museum, East Sussex County Council and the Universities of Brighton and Southampton and Lloyds of London have purchased his work. 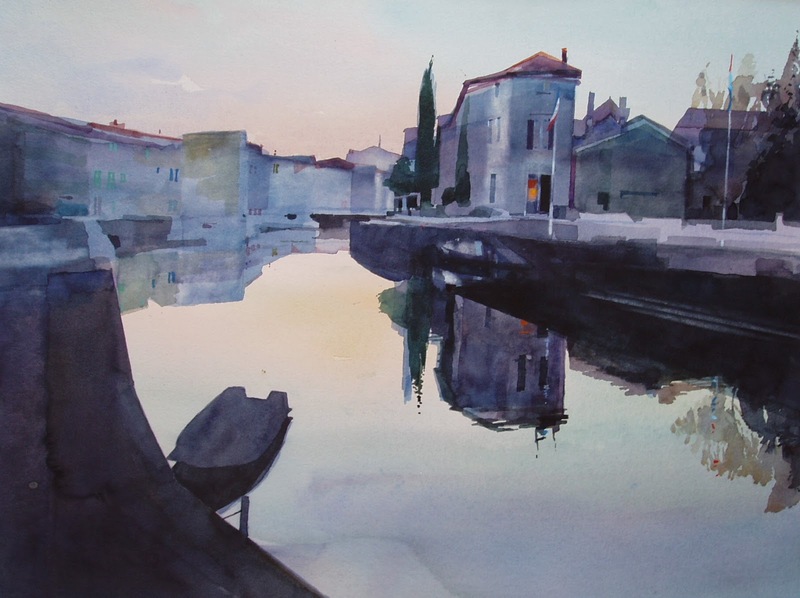 He has held numerous exhibitions in galleries in Britain, France and Italy; the most recent being in London in 2014 and he was commissioned to produce book editions of his water-colours. 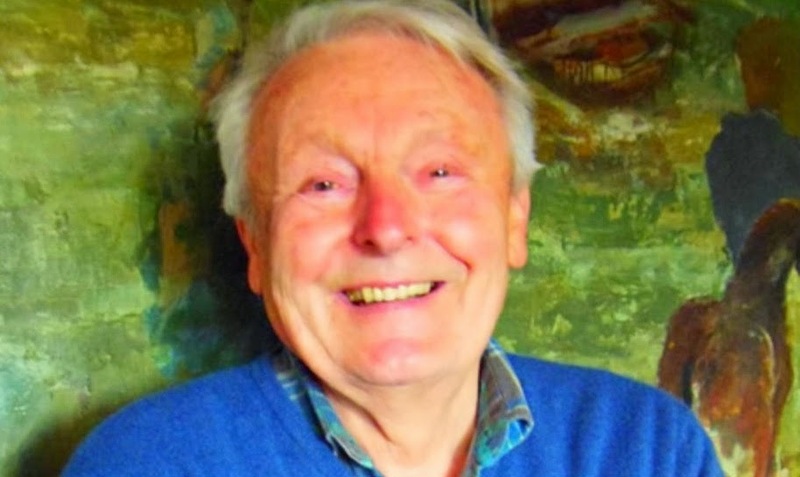 Ian was both an brilliant water-colour painter and an accomplished art school lecturer, organiser and innovator. From 1963 until he retired in 1995, Ian was the linchpin of the fine art department at Brighton School of Art, where he was responsible for assembling a talented staff team that included Antony Gormley, Dennis Creffield, Brendan Neiland and Madeleine Strindberg. The school has produced several distinguished artists including Turner Prize winner Rachel Whiteread. Josie Reed writes: My friend Ian Potts’ water-colours were shown regularly at the Royal Academy summer show, resulting in 1998 in a commission from the Duke of Edinburgh's office to do a painting of Windsor Castle. “Potts insistence on drawing is a fundamental of his land and cityscapes and in many of his images buildings anchor the view. However, the depth and limpidity of his washes, layer upon layer sometimes, gives real substance to his paintings.” "Ian Potts is a water-colour artist, of rare quality". This site is divided into three sections: the first section includes all Ian’s major water-colours and some of his earlier oil paintings, by use of the labels visitors can select groups of paintings from particular places, the second section exhibits Ian’s sketches, and the third section attempts to identify the distinctive qualities of the water-colours and place them within the tradition Ian belonged to.